Welcome to another post in our blog series, Vendor Visions, where we share tips and tidbits from Rochester-area wedding vendors. 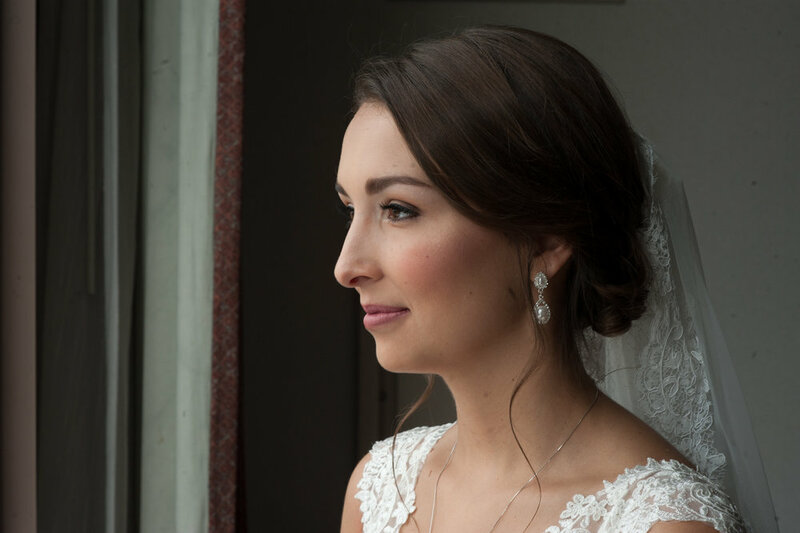 Today we're chatting with Tierney Messmer about perfecting a bride's wedding day look and how she found her passion in makeup. You can see past vendor posts HERE. Tierney Messmer's passion for makeup can be traced back to her elementary school years. "Growing up, art was ALWAYS a part of my offbeat household," she shared. "As far back as I can remember, I was drawn to the art of beauty. By fifth grade, I had my own mini makeup kit, a Caboodles, that was the envy of every slumber party." Tierney says that annual Christmas gifts from her father -- a beautiful makeup set from Elizabeth Arden -- sealed the deal. "I was completely enamored with them," she said. "Those gift sets were my first pieces of high-end makeup and some of my most cherished memories." Tierney says she got some practicality from her blue-collar working-man father and her instinctive art side from her emotionally-driven mother. She received her esthetics license five years ago and since then, her business has grown to a full-time makeup artist with 35 to 40 weddings each year. 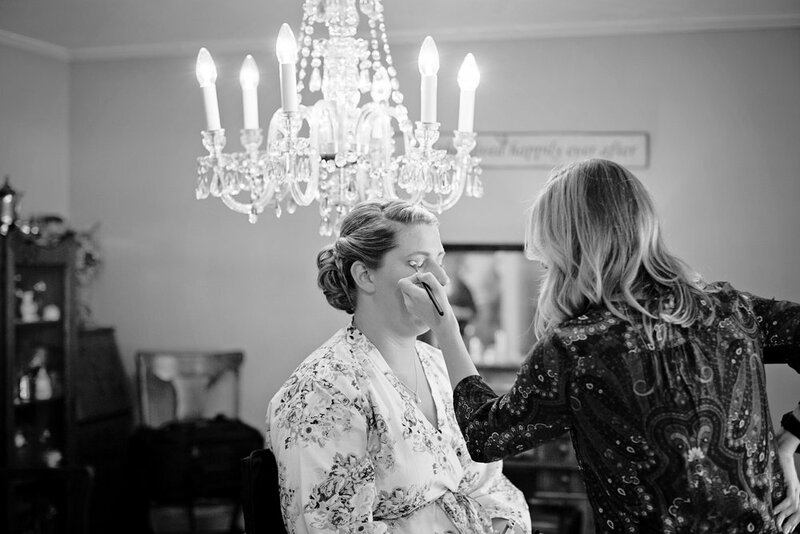 Although many popular wedding blogs recommend reaching out to hair and makeup professionals three months in advance of your wedding day, Tierney stresses that waiting that long may cause disappointment as many in-demand artists will already be booked for your date by then. Tierney encourages brides reach out to their preferred artist six to eight months in advance. "I wish I could work with every bride, but to give the best service, I only dedicate myself to one wedding per day," she says, adding that she books a lot of out-of-town brides who tend to be earlier planners. "No matter the timeline, I'm always looking to fill my calendar with beautiful faces. I always encourage brides to reach out and start the conversation." Tierney said her favorite part of her job is getting to know her clients, meeting at least once or twice prior to the wedding and keeping in touch through e-mail. A preview session allows her to see her brides in person, learn about their preferences through images and starting a file with answers to all of the many questions she answers throughout the process. "Women are highly visual and it's important for me to capture what they're after," she said. Tierney recognizes that the wedding day may be the only time in a woman's life that she has her makeup done professionally. "I strive to elevate that experience and make it memorable." Since the hair and makeup artists are the first vendors a bride sees on her wedding day, Tierney says it's important to her to be organized, on time and filled with great energy. Bridal makeup, Tierney says, is different than the everyday makeup or even what you may see on YouTube tutorials. "Surprisingly, my biggest trick is to NOT follow many of the passing trends," she says. "Many of them backfire when it comes to longevity or the way they photograph. Trends are a one-size-fits-all approach. I prefer to assess what suits the invidual's features, coloring and personality." One trend Tierney accepts happily? Liquid lipstick. "I love the longevity of liquid lipsticks," she shares. "If the bride needs a little shine, I will just gently dab a bit of gloss on top to soften the lips but they still get the benefit of long wear and less touch-ups!" Tierney's favorite part of a wedding day? When brides hold up the mirror and see themselves for the first time. "I've seen so many happy tears in this moment and it's the highest compliment I could ever receive." To Tierney, trust is the most important thing when it comes to the vendor-client relationship. She loves when clients choose her based on her portfolio and style because it makes her feel confident that she can deliver what they're looking for. "I always recommend that brides fully research their vendors and go where their heart leads them, not where deals or incentives do." An online portfolio with professional images of brides is crucial in the makeup industry, Tierney adds. This will show they have invested in their career and have a track record of delivering results, she says. Tierney has several vendors in each wedding day field to recommend to her clients based upon what's the best fit for the individual bride. "It's very important for me to be connected to vendors who I feel reflect the bride's style and vision," she said. "I'm happy to be connected to so many talented people here in Rochester!"